Are You Making These 15 Common Couponing Mistakes? The coupon also said we had to buy two soft drinks to use it — and we usually drink water — and was also only valid off-season, which started in a month. I could’ve argued for coupon justice, since I had just clipped the thing from a newspaper the day before. Instead I did some quick calculations, threw the coupon away and saved at least $10 by just splitting an order of fajitas (which were delicious and filling). I don’t normally miss details in the fine print, and hopefully you don’t either. But there are many other ways to mess up when using coupons to save money. Whether you’re shopping for cheaper groceries, meals out, household items or anything else, avoid the following couponing mistakes! Who hasn’t been tempted to buy something just because it’s a good deal? Of course, that means spending more money, not less. It’s one thing to use a coupon to save money trying something new, but avoid buying things that are going to sit in the house unused. Also skip things with no real value (see the next mistake for an example). One problem with “extreme couponing” is the temptation to buy something just because you could save money on it. A habit of buying whatever is the “best deal” is a slippery slope because, as one study shows, most grocery coupons are for unhealthy food. Future health care bills may cost you far more than any savings you get now. Throw away junk food coupons. Many BOGO coupons don’t actually say “buy one, get one free.” Instead, they offer 50% off the second item. So, it’s a simple 25% off coupon — and waiting for a sale might net you bigger savings. BOGO coupons can also tempt you into buying two of something when you only need one. Other stipulations can also add to the cost, like having to purchase drinks at a restaurant. You might buy a large tube of toothpaste or can of soup with the coupon, figuring you’ll save the same amount regardless of size. But, as explained in our coupon strategy post, you often get a much lower unit-cost using coupons for the smallest qualifying sizes. It is easy to imagine you’re getting a good deal when you have a high-value coupon. After all, if you use that 50-cent coupon on a $2 box of crackers, you get a full 25% discount. But if the store brand sells for just $1.25 and tastes the same, you’re overspending by 25 cents. Coupons can easily tempt you to buy more expensive brands that remain more expensive even after the discount. Do the math. Coupons can also tempt you to buy more than you need. First, a coupon may require you to buy several of an item when you don’t need more than one. Second, if you buy too many perishables because of coupon deals, you could end up throwing out food if you can’t eat it fast enough. Buy only what you need, in amounts you can comfortably use prior to expiration dates. You get to the register and the cashier says your coupon is no good for the small size juice, or it’s only good for certain varieties of soup. Would you put the item back, or buy it anyway? Again — read the fine print to avoid this mistake. See the next tip on our list to correct it at the register. Some cashiers won’t tell you when a coupon doesn’t work — and you may not notice until later. To avoid this problem, watch the register closely as your items are rung up. Also, put your coupon items on the belt last, where you can easily monitor them and return them if the coupons don’t work. This is probably the most common coupon mistake. Check coupons carefully. Throw them away as soon as they expire, so you don’t accidentally try to use them. Many stores have coupons for major brands you can only use in that store. Keep these separate from manufacturer coupons that can be used anywhere. If you’re not organized, you’ll show up at the register with expired coupons. Worse, you’ll probably pay full price for items even when you have valid coupons buried somewhere. Create a simple coupon organization system that works for you. You usually can’t use two manufacturer coupons for the same item, but don’t overlook other opportunities to “stack” your savings. You can often use a store coupon and a manufacturer’s coupon on the same item, or use a coupon during a sale. You can also combine discounted gift cards with coupons to save big. I combined a sale with a coupon and an Amex Offer to cut a recent cat food purchase almost in half. You won’t get the special price offers on many items if you don’t have a store loyalty program card. You may also miss out on extra coupons. For example, when you enter a CVS store and scan your ExtraCare card at the machine by the door, it usually prints several coupons. Store loyalty members often get coupons and offers by email — so sign up! It’s easy to find the lowest price shopping online and make the purchase without further thought. Big mistake! Open a new tab before you pay and search for online coupon codes. You might save another 10% or more by entering the right code at checkout. If you enjoy couponing, you don’t need to think much about the time you spend on it. But if it’s just a way to save money, don’t spend too many hours looking for the deals and organizing your coupons. Keep it efficient and simple, or your efforts might be worth less than minimum wage for the time you spend. 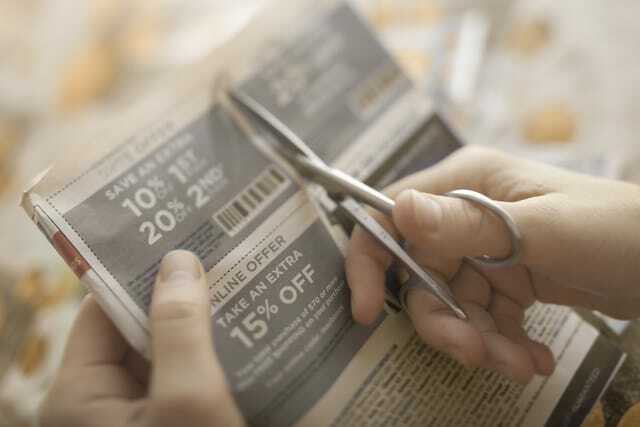 Your Turn: Have you made any of these couponing mistakes? Are there any you would add to the list? 43 Minutes Ago Dear Penny: I Can Only Afford Interest on My Student Loans. What Can I Do?